I just finished The Bronze Horseman on Saturday. It was an extraordinarily powerful reading experience, and I barely know where to begin. 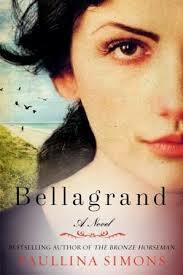 I identified three major elements in this powerhouse of a book: romantic, historical, and philosophical. In the romantic sense, this was a classic romantic tragedy with the anguished, tormented, and tortured male soul who is soothed by the selfless, loving, accepting female, both fighting against the harsh realities and dominating values in their lives (whether family, cultural, or personal) to find peace. To break free. And of course, you have the heart-breaking climax that drags you under with loss and unbearable sorrow. Had the book focused solely on the romantic element, I would have remained utterly captivated. The setting–the city of Leningrad under Stalin’s brutal regime and during the horrific siege during the second world war–composed the historical elements. 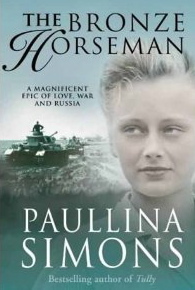 Horseman illustrated in depth and vivid color the claustrophobia of the average Soviet’s living conditions and elicited surges of disgust (in this reader) at the senseless murders of citizens and the rampant paranoid ideology that permeated society. These themes culminated in the tragic fate that befell Alexander’s parents, and the effect this betrayal had on the rest of his life. The most intriguing element of this book was the philosophical issues it brought to the surface. The words “love,” “sacrifice,” and “selflessness” have been trivialized in the English language, in our materialistic and self-serving American culture–do we truly understand the profound impact of these words? Perhaps after 9/11 we might have an idea. Perhaps. But this book opened my mind for the very first time to what it IS to love, to sacrifice, and to act in a selfless manner. And it was a deep and haunting experience where I was confronted with my own discomfort…how far would I have gone under the same circumstances…would I have been capable of these complex emotions and actions if I were put to the same tests. I like to think I would pass, but would I truly? I am convinced that this book was born of passion for the author’s mother country, for the characters, for the elements of her life. An immigrant to America at age ten, she was born in Leningrad herself. Interestingly, she wrote her first impressive novel about a rebellious and troubled teen in Kansas–which is how I originally found her work, having spent my teen years in that unhappy place. Once I read Tully, I was hooked on Ms. Simons emotionally blunt writing, but it was not the book the author was born to write, of that I was certain. The Bronze Horseman was. To me, Horseman seemed the culmination of a life’s purpose. An epic, as poignant and thoughtful as any classic I can think of. Anna Karenina. War and Peace. Any of the great Russian dramatists. 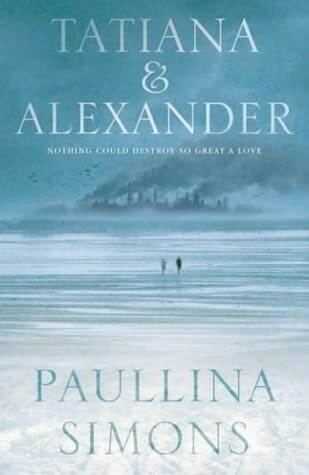 The sequel to Horseman, Tatiana and Alexander (or The Bridge to Holy Cross as published in Australia and New Zealand, as far as I’m aware) is also brilliant, but I will save that review for another posting. If you haven’t already, do yourself a favor. Read this book. It will astonish you.